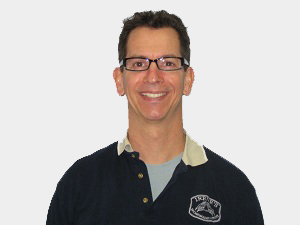 Hi, I’m Gregg Havlick and I’ve been working with Dr. Westcott since 1999 and Dr. Collins since 2013. I completed my massage therapy training at Irene’s Myomassology Institute and became nationally certified. I enjoy bowling, bicycling, music, photography, motorcycling, volunteering, and personal growth. I look forward to new challenges with clients and appreciate opportunities to learn more while continuing to develop new ideas to benefit everyone. Massage can benefit your mood, reduce your stress level, strengthen your immune system, help release toxins throughout your body, regain your range of motion, eliminate pain, increase your energy level, or help you to sleep. Massage is very complimentary to Chiropractic medicine. Relaxing the muscles and the mental state of your being will allow your adjustment to be performed easier and help to hold it in place longer. I use many different modalities during a massage and you can expect that no massage will ever be the same. Your massage is customized to help you to reduce, relieve, or eliminate the cause of your symptoms. I may use deep tissue, myofascial release, stretching, rolling, traction, shiatsu, acupuncture points, reiki, reflexology, sports massage, tapotement, or gentle relaxation techniques. I typically use very little oil, and may supplement with essential oils where applicable. We offer a variety of massage therapy services for our valued patients. We encourage you to learn more about what we provide and how we can help. If you have any questions, please contact us by calling (734) 427-1579. We're always happy to hear from you!